3-Gen Construction Inc. offers its customers only the industry leading exterior products including JamesHardie, Royal Building produts, LP Corp along with many others. As exterior technologies change, so does 3-Gen Construction Inc., we continue to strive to bring our customers only the best the industry can provide. 3-Gen Construction offers its customers full exterior solutions from Exterior Siding, Detached Garages, Roofing, Decks, Fences and hail Damage/Repairs. We truly are your one stop shop for all your exterior needs.
. Roofing: Whether it is a brand new roof, replacing an old or damaged roof or an insurance job due to hail or wind damage, 3-Gen Construction has you covered.
. Decks: Are you looking to update an existing deck surface or building a new one, 3-Gen Construction has the products you’re looking for. From Fiberon Decking & Railing to Cedar or PWF, we can help you build your outdoor oasis.
. Hail Damage/Repairs: Hail damage or damaged siding can cause serious damage to the largest investment of you life. 3-Gen Construction can help fix these issues quickly. We can work with you or your insurance company to get your house repaired quickly and on budget. Our motto is Trustworthy, Reliable, Upstanding & Experienced. This is what we bring to each project no matter how large or small. Authentic Design is at home in the most distinctive neighborhoods. At Mayne Inc where we produce the Longboard® products we are a AAMA 2605 certified application premise. This means that all product we powder coat whether it be Longboard products or aluminum for other architectural manufacturers receives pretreatment which will consistently achieve the highest performance standards the industry has developed. The actual powder paint performance we apply is either to the colour fade and gloss loss specifications of AAMA 2604 at a min or AAMA 2605 depending on customer requirements but regardless of paint quality the pretreatment is always to 2605 standards. Because of its advantages, certifications, and the simplicity of installation, LUX Architectural Panel has quickly become a leading force in the cladding industry. Except it’s not in a magazine but on your block because it’s your home and you live in it. 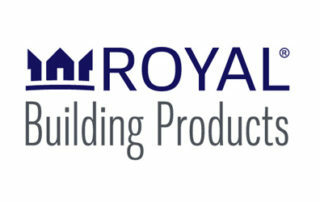 Royal home siding products—from our Portsmouth™ Shake & Shingles to our traditional and insulated siding to our exterior accents—put the whole thing together. By “thing” we mean best-looking home on the block. Please provide details of your project so we can provide an estimate. Alternatively please let us know a good time and method of contacting you to discuss further.